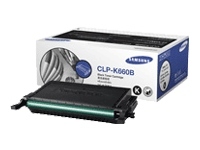 SAMSUNG Color Laser print cartridge offers great print quality and reliable performance for affordable, professional quality color printing. It also has a new advanced toner, ease-for-use features and smart technology. This high-yield toner offers an effective solution for users with lower print volume requirements.